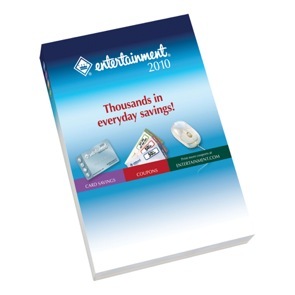 I’ve got great news for those of you that missed out on getting an Entertainment Book for as low as FREE yesterday! Entertainment book has decided to extend the 12-hour sale through the end of the day on Thursday, May 13th! Follow the directions here to order your book through ShopAtHome to earn between $7 and $12 cash back on your purchase, making it possibly FREE!